1.5 Air Mass Solar Spectral Distribution. a-Si solar cells can generate more annual energy than other technologies about 10-15% at the same capacity. 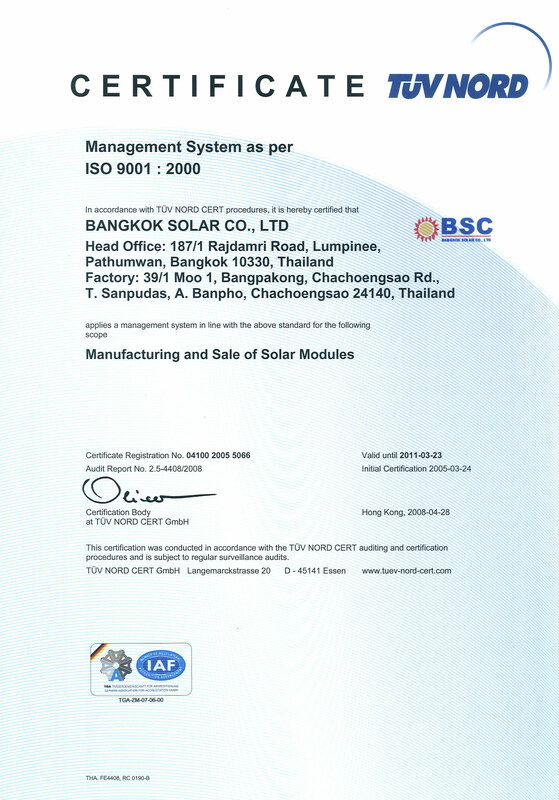 BS40 can still produce electricity even though there is partial shade on the module. BS40 is encapsulated with EVA and has 100% protection from moisture. BS40 is suitable for Building Integrated PV ( BIPV ) and makes an elegant appearance. At over 40V and low current, BS40 can reduce loss in conductors and is fit for rooftop application, remote area or other uses. 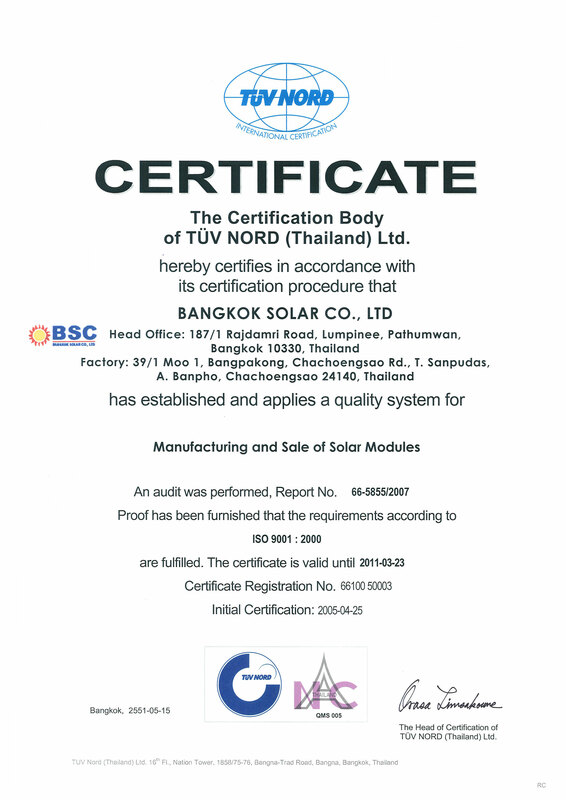 BS40 is produces by using modern a-Si thin film PV technologies and good-proven on field conditions. BS40 can return high value, quality and satisfaction at affordable price.